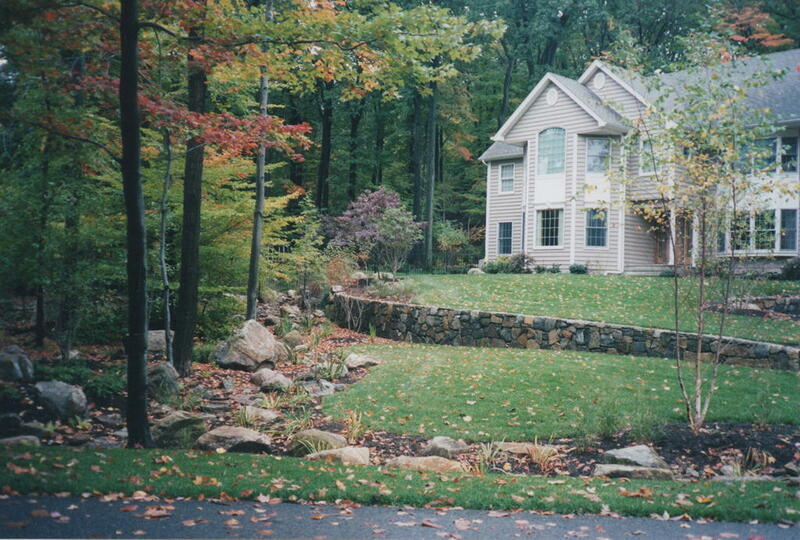 Image includes renovated woodland edge and stream constructed using boulders from existing wall which was replaced by new fieldstone walls with sculpted front lawn with stone wall and new plantings. Not shown: Pool, terraces, water feature, road frontage, driveway, additional portion of constructed stream, walls and planting for rear and side yards. A landscape illumination for the majority of the property was also provided.